At Sound Xpression, we use our extensive experience and knowledge to choose the best components for each system. 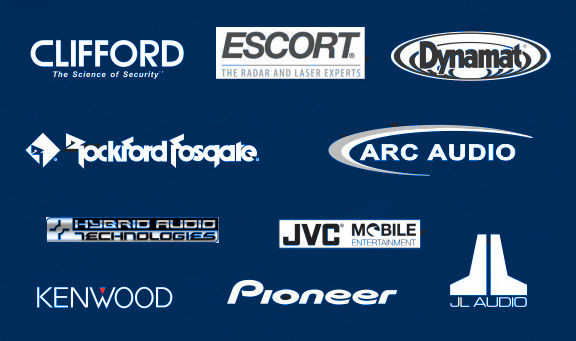 We are extremely knowledgeable about the latest technology available in any given area of mobile electronics, which provides our customers expert recommendations when planning the audio/video for their vehicle. Each product we offer is evaluated on performance, application and reliability, with the goal that every component will contribute to a very satisfied customer! Here are a number of the product brands we currently offer. Please contact us for further information or for any product inquiries, including brands that are not listed. The new Punch boosted rail amplifier line includes two products: the PBR300X4, a 300 watt 4 channel boosted rail amplifier and the PBR3 00X1, a 300 watt mono channel boosted rail amplifier. Punch Boosted Rail Topology reproduces audio perfection and delivers impressive power in a compact chassis. Overall, the amplifiers are 76 percent smaller in terms of height, width and volume, and yet they produces an amazing 300 watts of power. These amplifiers have the smallest mechanical packaging in the industry at roughly the size of a couple of smart phones. 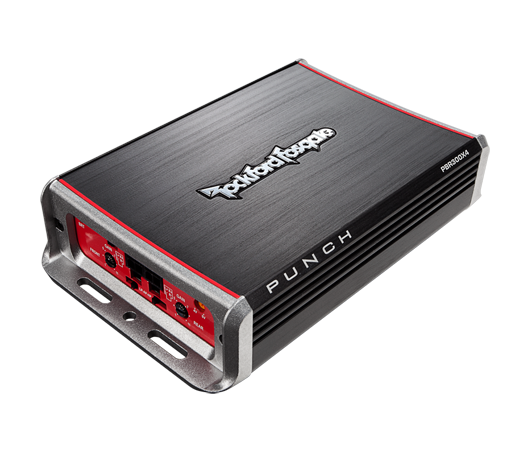 The new Punch boosted rail amplifiers puts the ‘mobile’ back in mobile sound.